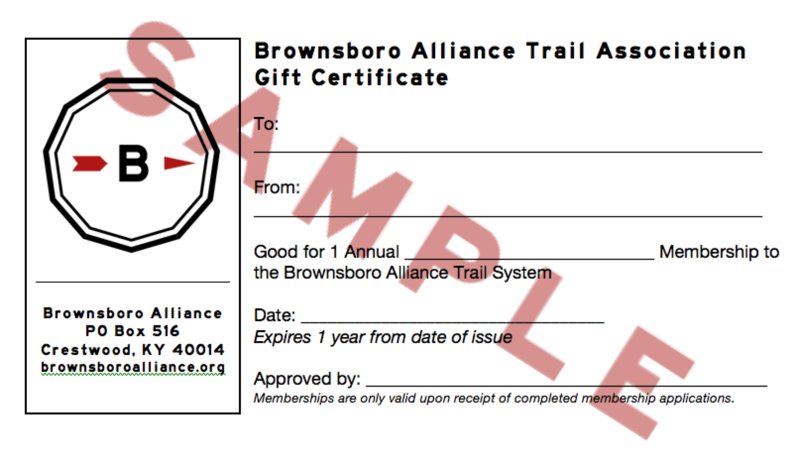 Happy Thanksgiving from all of us at Brownsboro Alliance! If you are going out on the trail over the holiday, make sure you review safety information and rules & regulations for using the trail. Please also be aware that although modern gun deer hunting is over, there are other hunting seasons that are open at this time. Guidelines for hunting seasons are also provided here. Don’t forget to complete a guest application for any friends or family members using the trail with you during their visit. Remember BATA when planning your holiday gifts this year with gift certificates for membership! Avoid the Black Friday crowds by shopping at home for any of the memberships we offer. Wishing you and yours happy trails this holiday season!